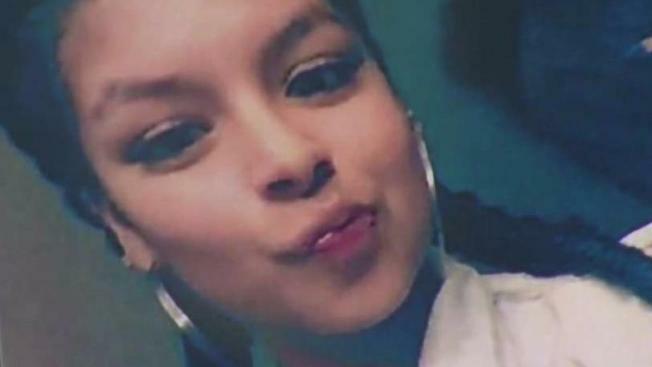 The family of a 16-year-old pregnant girl who was fatally shot by Fremont police last March filed a civil rights lawsuit Wednesday against the officers and the city, according to a release from Oakland attorney John Burris. Wednesday marked the one-year anniversary of Elena Mondragon's death after plain-clothes officers fired into a stolen vehicle she was riding in as it accelerated toward officers during an undercover operation near Cal State East Bay in Hayward. In the late afternoon of March 14, 2017, Mondragon, an Antioch resident known as "Ebbie" to family and friends, was with her cousin and two of their friends, swimming at the City View Apartment complex in Hayward, according to Burris. Undercover officers from the Southern Alameda Major Crimes Task Force had identified one of the young men with Mondragon as a wanted armed robbery suspect and formed a perimeter at the complex. As the group was leaving the complex in a stolen BMW, the officers, in plain clithes and unmarked vehicles, moved in. During the course of trying to detain the armed robbery suspect, the BMW accelerated toward officers, police said, and they opened fire on the car, killing Mondragon. Alameda County Deputy District Attorney Robert Graff wrote in a recent lengthy report on the shooting that Mondragon's death "was unintended and tragic" and he believes that Fremont Detective Joel Hernandez and Sgt. Jeremy Miskella "acted in lawful" self-defense when they fired shots at suspect Rico Tiger, 19, and struck her instead. Burris said the officers had been stalking the group before they got into the BMW, and the attorney said he was baffled why they didn't move in on Tiger earlier. He also said Tiger was not aware they were police officers. "Shockingly, officers engaged in a series of egregious tactical errors and contravened their training and basic common sense, which resulted in an outrageous loss of innocent life," Burris said in a statement. Burris also expressed "outrage and disgust" that the Alameda County District Attorney has decided to file charges against the driver of the car, instead of the two Fremont officers who "acted with reckless disregard for department policy, safe tactics and human life." Burris added that none of the officers had activated their body-worn cameras during the incident. The lawsuit seeks unspecified general, special and punitive damages.